Steve Weikal is Head of Industry Relations at the MIT Center for Real Estate, responsible for managing relationships between the Center and its global network of industry partners and nearly 1100 alumni of the MIT Master’s in Real Estate Development (MSRED) program, in 46 countries. He is also a lecturer and researcher, and the CRE Tech lead in the MIT Real Estate Innovation Lab, focused on innovative new technology and business models that disrupt the traditional ways of developing, transacting and managing real estate. Steve was the Founder of MIT Real Disruption, a successful series of conferences discussing the impact of emerging technology on the real estate industry that is now part of the international CREtech conference platform. He is a member of the CREtech Leadership Board, and sits on the advisory boards of three real estate technology start-ups. 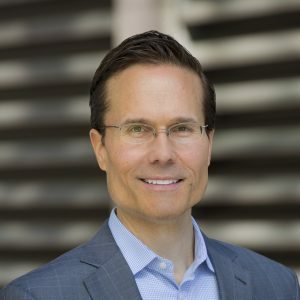 Steve has spoken extensively about real estate technology at conferences for AFIRE, ULI, IREM, SIOR, CCIM, CoreNet, ICSC and BOMA, and has been quoted by numerous media outlets, including BuzzFeed, TechInsider, the Boston Globe, GlobeSt. the Real Reporter, Travel Weekly, IPE Real Assets Europe and Anuario Inmobiliario LatinoAmerica. Prior to his position at the MIT Center for Real Estate, Steve was Vice President of NOW Communities, a Concord, MA based developer of new residential neighborhoods that merge the best of traditional design with 21stcentury energy technology. Before graduate school, Steve was National Media Tour Producer for Martin Scorses’s The Blues, for WGBH Boston, was Manager of Partner Acquisition at Curl, a VC funded tech start-up launched to commercialize a new coding language developed at the MIT Lab for Computer Science (LCS), and was a Founding Partner of Sonoma Coast Vineyards, maker of award winning Pinot Noir from the Extreme Sonoma Coast of California. He began his real estate career restoring and redeveloping historic theaters in Detroit’s Fox Center entertainment district.